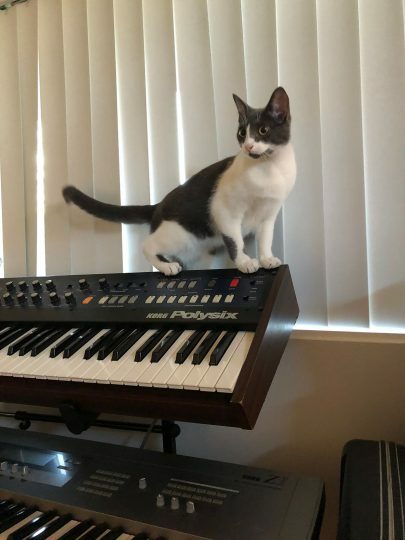 We recently found this pic featuring a cute cat and a Korg Polysix on matrixsynth. “Sadly, something has to give. Too much kit in my life! This is a 1982 Korg Polysix in excellent condition. It’s been fully restored within the past two years, and is in really good cosmetic condition. If you’re looking here, you know the specifications already, so no need for copypasta here. Old NiCad battery replaced with a brand-new NiMH battery. Not a lithium cell. The CPU card was blissfully unharmed by the usual battery leak problems that these get – check the photos. The power supply transformer has been replaced with a super quiet, efficient toroidal unit, capable of running at 220V as well as 110V. One VCF chip – an SSM2044 – was replaced with a brand-new old stock item. Synth was completely recalibrated and tuned and is working perfectly. A Tauntek MIDI input board was fitted. This really enhances the machine by allowing MIDI note in, as well as syncing the arpeggiator clock over MIDI. No, it does not appear that the cat is included. Additionally, there is a sample of a bass line played on this synth. 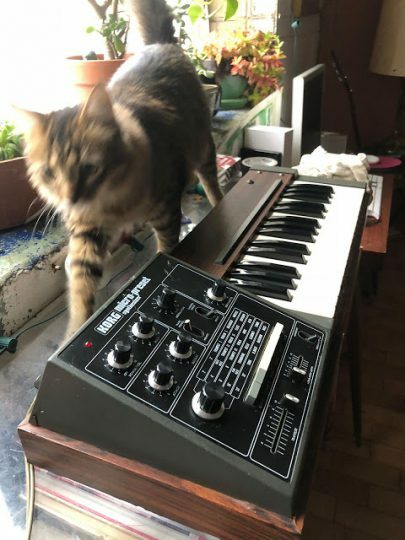 When I went synth shopping for the first time in the mid 1980s (right after a birthday), among the first I encountered was one of this instrument’s more modest successors, the Korg Poly 800 II. The Polysix was long gone from the catalogs by then, and it was the time when digital synths were eclipsing analog instruments. 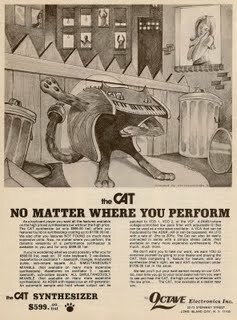 I was quickly pulled in the direction of the Yamaha synths that dominated that era. Last night was the annual Trash Audio party that occurs during NAMM. It’s an opportunity to meet a lot of makers and enthusiasts of esoteric and DIY electronic instruments in a quintessentially southern Californian setting: a backyard pool party. It was great to meet some of the people I have gotten to know through writing this site. Matrixsynth hosted a little wine bar of sorts, with his own Analog Reserve (red) and Digital Reserve (white). They were quite good, actually.